Fancy yourself a podcaster? 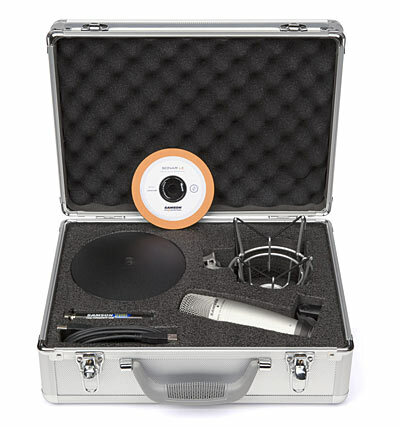 This awesome aluminum case packs a USB microphone with a 19mm internal shock mounted diaphragm, mic clip and stand with shockmount and Cakewalk’s Sonar LE software. We can see this awesome setup being a must have for the mobile podcaster, interviewer, or self-important lounge singer.